Baling square bales of straw. 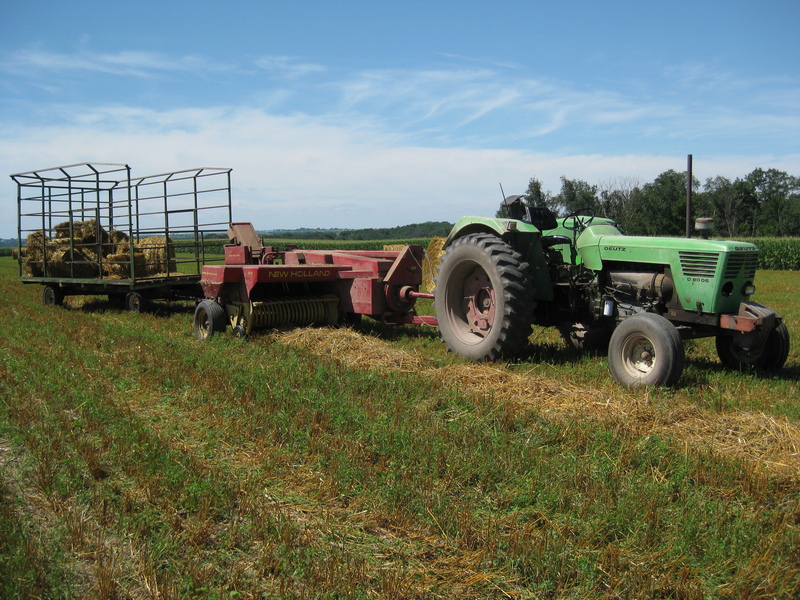 After the oats are harvested with our combine, the straw dries in the field for a day or two and is raked into rows and baled. Most of the straw is round-baled. This is much easier than small square bales because all of the work is done mechanically.with round bales. The round bales are used in the hoop buildings to bed the pigs. We bale a couple of loads, (250 bales), of small square bales. These bales are used to bed the sow shelters or to bed the trailer when we take animals to the butcher. Square bales have to be unloaded by hand and stacked in the barn. I always appreciate the round-baler more after finishing this job. This entry was posted on Thursday, July 29th, 2010 at 1:49 am and is filed under Curious crops, Curious hogs. You can follow any responses to this entry through the RSS 2.0 feed. You can leave a response, or trackback from your own site. I think I see the “hoop building off in the left of the second photo. 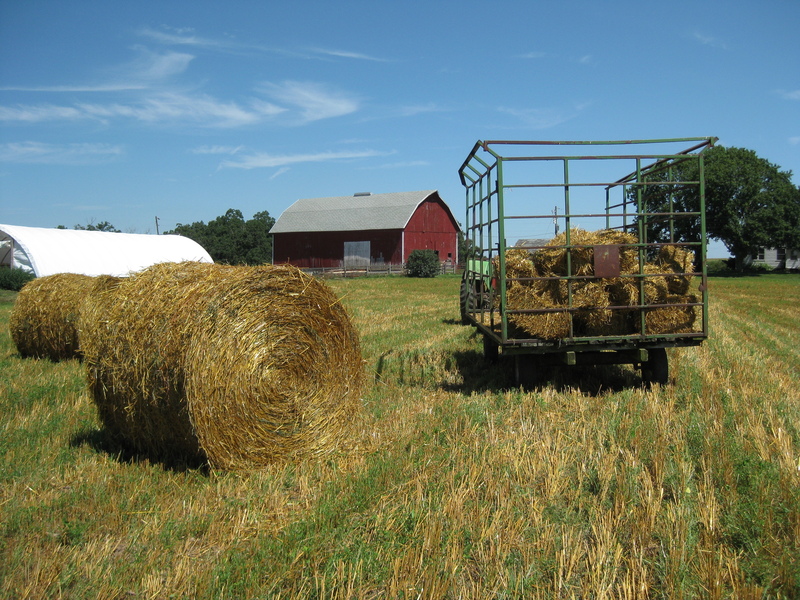 So if I remember right, straw, which is the remainder of the plant after the oats are harvested, is always used for bedding and never as a feed source, whereas hay is always used as feed. Almost always! I remember taking two hogs to a show in Dubuque with a city friend riding along. We bedded the truck with straw and drove fast. When we arrived at the show, all the straw had blown out of the truck. “All the straw is gone!” I said. “Yeah, they ate the whole bale!” he said.